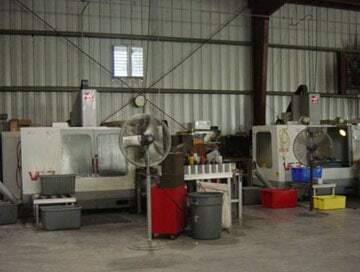 A full-service machine shop serving Southwest Florida and beyond since 1982! Over the years, Imm Quality has continually expanded production capabilities to better serve an ever growing and diverse customer base. Imm Quality is committed to providing high quality custom manufacturing services. 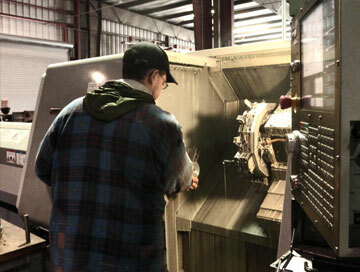 Our extensive machine shop knowledge and experience allows us to approach any custom manufacturing job with confidence. We employ a skilled set of programmers and engineers, and a talented production team to transform raw material into high precision parts. 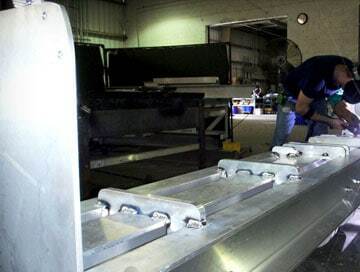 Today Imm Quality offers a full complement of precision machining and fabrication services. If there are any services you require that are not listed below please contact us to see if we can meet your needs. 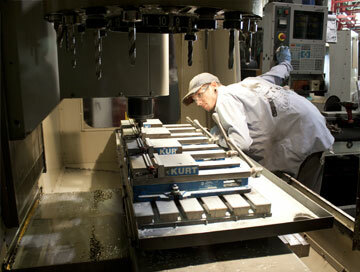 It is our goal to continue to provide the highest level of service possible in the machine and fabrication field. 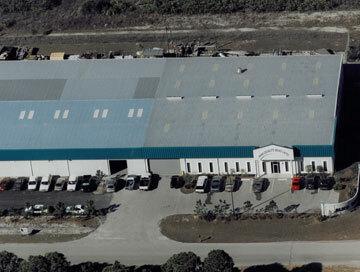 Our 30,000 sq. ft. facility is fully equipped to provide a wide variety of traditional, manual machine shop and welding services. We offer small to medium-run quantity production on a variety of lathes and vertical mills. Following your specifications and drawings, we can create your prototype or one-of-a-kind design for parts, jigs, fixtures, assemblies or equipment. We have experience with aluminum, brass, bronze, steel, stainless steel, alloy steel, hi-temp alloys, composites and plastics. Our engineering and production teams also specialize in reverse engineering. When OEM parts are discontinued or no longer available, we are able to replicate old parts to produce an identical custom manufactured replacement part. Bring us a part you need reproduced and we will duplicate and document it. Equipment sitting idle? Waiting for parts or repair can be costly. We can repair, modify or re-machine broken parts or assemblies to get your process back in action. We are able to work with you on-site to help troubleshoot problems and formulate an approach to the most effective repair or re-manufacture. Automotive – Whether you need parts for under the hood, doors, wheels; interior or exterior, custom gaskets, seals, or any other custom parts. Furniture – We can make latches, pulls, braces and numerous other types of hardware for the manufacture of fine furniture. Aircraft and aerospace – If you need custom manufactured parts that demand intricate detail, complex materials and leave no room for error, we can do it. We are able to manufacture numerous parts for many types of aircraft including custom machined injector parts, doors, panels, gears, and more. Custom Tooling – Have a tool that you would like to produce? Ask one of our custom engineering team members and they will help you figure out the steps to making your idea become reality. Appliance Components – We make replacement parts for appliances in all sizes and quantities. Municipalities – We have made draw bridges, gang ways, hand rails, fences and other custom fabrications for many city governments. Retail / Storefront – We provide custom manufacturing for retail outlets, stores and display cases. We have made custom retail displays, fabricated custom retail signage, custom lighting rigs, elevators, logos and many more. Agricultural and Construction– Imm Quality can custom manufacture parts for construction, farm, processing and livestock equipment. Whether you require gears, panels, gaskets, flanges, or other hardware, we have the experience to get the job done. If you are looking for reliable custom machining services, few CNC machine shops can match the high quality of precision machined products that Imm Quality delivers. We have over 30 years of related, hands on experience in machining, fabrication, assembly and product research & development. Whether you need custom, one-off, short run or long run production capabilities, you’ll be surprised at how cost and time effective sourcing your parts with us can be.